The awards come from contributions made by Pewaukee area citizens, businesses, community groups and memorial donations. To contribute to future scholarships, visit our donate page. Ali Bacon, daughter of Pete and Mary Bacon, is the recipient of an American Legion Scholarship. Ali will be studying speech and language pathology at UW- Madison. Brianna Bauman, the daughter of Matt and Sana Bauman, has been awarded a WaterStone Bank Scholarship. She will be attending Montana State University-Boseman to study child psychology. Megan Becker, daughter of William and Denee Becker, is the recipient of the Gene Frett Visual Arts Scholarship. Megan plans to attend the UW-Stout to study fine arts or art education. Soroush Besharat, son of Mo Besharat and Ari Mahdavi, is the recipient of a Pewaukee Board of Education Scholarship. Soroush will major in genetics at UW-Madison. Elisabeth Betker, daughter of John and Carol Betker, is the recipient of a Pewaukee Scholarship Fund Award. She plans to study kinesiology at the UW-Eau Claire. Nicole Blaser, the daughter of Michael and Tracy Blaser, has been awarded a Pewaukee Kiwanis Club Scholarship. Nicole plans to attend UW-La Crosse to study exercise science. Alicia Bohne, daughter of Lee and Jean Bohne, has been awarded a Pewaukee Kiwanis Club Scholarship. She will be studying nursing at UW-Madison. Ethan Brownell, the son of Danny and Deanna Brownell, has been awarded the Fraland and Eileen Campbell Scholarship. Ethan plans to major in chemical engineering at the University of Minnesota – Twin Cities. Jason Czech, the son of Don and Diane Czech, is the recipient of a Pewaukee Scholarship Fund Award. He plans to study actuarial science at UW-Madison or Oshkosh. Michelle Czech, daughter of Raymond and Margaret Czech, is the recipient of a Pewaukee Scholarship Fund Award. Michelle will be studying business management at UW-Whitewater. Jenna Danner, the daughter of Barb Danner, has been awarded a Pewaukee Rotary Club Scholarship. Jenna plans to major in electronic media at UW-Green Bay. Abby Davis, the daughter of Andrew and Cynthia Davis, is the recipient of a Pewaukee Scholarship Fund Award. She plans to study veterinary medicine at UW-Oshkosh. Marissa Dooley, the daughter of Michael Dooley and Janel Lanza, is the recipient of a Pewaukee Scholarship Fund Award. Marissa plans to major in nursing at Saint Xavier University in Chicago. Katie Ellington, daughter of Jeff and Suzanne Ellington, has been awarded the Allen Anderson Memorial Scholarship. She will be studying English and pre-law at Marquette University in Milwaukee. Hannah Fahey, the daughter of Paul and Kris Fahey, is the recipient of a Pewaukee Scholarship Fund Award. Hannah plans to major in accounting at the University of Minnesota – Twin Cities campus. Claire Fernandez, the daughter of Ralph and Laurie Fernandez, is the recipient of the Joseph Ryan Memorial Scholarship. Claire will be studying biophysics at UW-Madison. Sybelle Gesman, daughter of Armando and Rocilyn Gesman, has been awarded the Hans Wienss Memorial Scholarship. She plans to major in physical therapy at Carroll University. Alexander Graham, son of Michelle Elliot, is the recipient of a Pewaukee Scholarship Fund Award. He plans to study computer sciences and programming at UW-Eau Claire. Brandee Hallberg, the daughter of Kenneth Hallberg and Tracy Chapman, is the recipient of a Pewaukee Scholarship Fund Award. Brandee will be studying nursing at Waukesha County Technical College. Molly Henke, daughter of Julie Chapman, has been awarded a Board of Education Scholarship. She plans to major in biology at UW-La Crosse. Molly Hilgart, the daughter of Mark and Susan Hilgart, is the recipient of a Pewaukee Scholarship Fund Award. Molly will be studying nursing at UW-Eau Claire. Katherine Knepprath, daughter of John and Paula Knepprath, has been awarded a Pewaukee Alumni Association Scholarship. Kate plans to major in nursing at Luther College in Decorah, Iowa. Bailee Kussrow, the daughter of Kevin and Dawn Kussrow, is the recipient of a Pewaukee Scholarship Fund Award. She plans to major in journalism, advertising, and media studies at UW-Milwaukee. Walker Lee, the son of Mary Kay and Darryl Lee, is the recipient of a Pewaukee Scholarship Fund Award. Walker plans to study physics at UW-Madison. Anneliese Lokken, daughter of Richard and Lisa Lokken, has been awarded an American Legion Scholarship. She plans to major in social work at Trinity Christian College in Palos Heights, Illinois. Elizabeth McBride, daughter of Susan McBride, is the recipient of the M. Van Hulle Honorary PSF award. She plans to study electrical engineering at Milwaukee School of Engineering. Megan Murray, the daughter of Pam Purcell and John Murray, is the recipient of the Dorothy M. Brouwer Memorial Scholarship. Megan plans to major in mathematics/business at the University of Notre Dame in Indiana. Nicole Niebler, daughter of Dave and Becky Niebler, has been awarded a Pewaukee Alumni Association Scholarship. Becky plans to major in biology at UW-Eau Claire. Alexander Owens, son of Dan and Kris Owens, is the recipient of the Gene Edgette Memorial Scholarship. He plans to study mechanical engineering at UW-Platteville. Lianne Peters, the daughter of Charles and Renee Peters, is the recipient of a Pewaukee Scholarship Fund Award. Lianne will be studying journalism at UW-Whitewater. Terry Richard, son of Dean Richard and Margaret McGinn, has been awarded a Pewaukee School District Administrators’ Scholarship in honor of JoAnn Sternke. Terry plans to major in education at UW-Madison. 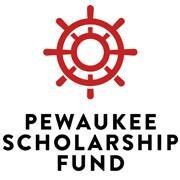 Claire Satterfield, the daughter of Grey and Patty Satterfield, is the recipient of a Pewaukee Scholarship Fund Award. Claire is interested in exploring options in English and biology at UW-Madison. Austin Schroeder, son of Scott and Jaymie Schroeder, has been awarded a WaterStone Bank Scholarship. Austin plans to major in business administration at UW-Oshkosh. Brandon Simmons, the son of Doug and Debbie Simmons, has been awarded the Margaret Schallitz Memorial Scholarship. He will be studying mechanical engineering at UW-Platteville. Morgan Sternad, daughter of Dean Sternad and Pam DeRosier, has been awarded a Pewaukee School District Administrators’ Scholarship in honor of Danielle Bosanec. Morgan plans to dual major in elementary and special education at UW-Oshkosh. Scott Sutter, son of Jeff and Mary Pat Sutter, is the recipient of a Pewaukee Scholarship Fund Award. He plans to major in music education at Winona State University in Minnesota. Katherine Vitalbo, the daughter of Dave and Katie Vitalbo, has been awarded a Pewaukee Kiwanis Club Scholarship. She will be studying business at UW-Madison. Molly Wetzel, daughter of Richard and Lori Wetzel, is the recipient of a Pewaukee Scholarship Fund Award. Molly plans to major in international business at Hawaii Pacific University in Honolulu.